In the current phase this document also represents an organizational proposal for the creation of a “place” capable of catalyzing and transmitting the demands of all stakeholders: the Forum for the Sustainability of Wine. The following document is the result of a complex journey that has involved 37 experts on the topic of sustainable wine from the technical and scientific community, united by this manifesto of values and goals. Two working groups have conducted in-depth studies and research on the system, including cognitive investigations regarding over 1000 wineries and 15 national programs for the sustainable development of wine. Three specific studies have emerged from this work: the first examines the economic features of the current movement (by Prof. Eugenio Pomarici of the University of Naples Federico II; co-author Dr Riccardo Vecchio); the second illustrates the synoptic framework of the Italian sustainable development programs (by Prof. Fabio Mencarelli of the University of Tuscia; co-author Luciano De Propris); the third seeks to define how a strategic orientation towards sustainability is transforming the business models of Italian wineries (by Prof. Lorenzo Zanni of the University of Siena; co-author Dr Tommaso Pucci). 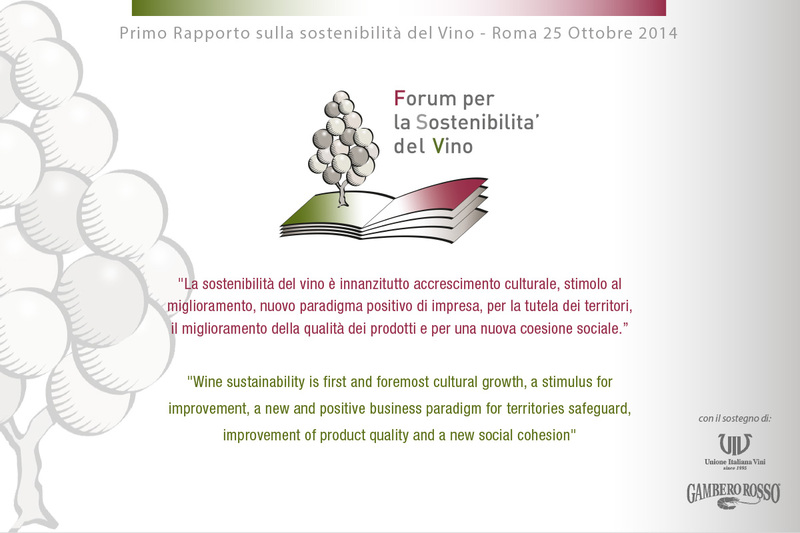 The Forum for Wine Sustainability has selected the essential points from these basic premises to form the technical and cultural proposal it intends to put forward for the next leg of this journey.